Where do people celebrate Thanksgiving? Why did people start celebrating Thanksgiving? What do people usually do on Thanksgiving Day? On the fourth Thursday in November, families get together for a feast in the United States. Almost all families eat turkey and cranberry sauce and have pumpkin pie for dessert. 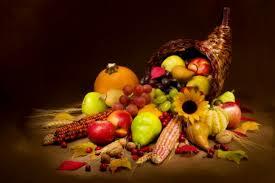 This feast is a part of a very special day, the holiday of Thanksgiving. This holiday has a very long history. In 1620 the Pilgrims made a very difficult trip across the ocean from England to North America. They were forced to risk because they had not been allowed to freely practice their religion. So they went to the New World in search of religious freedom. They landed in what is now Massachusetts. During the first winter almost half of the group died of cold, hunger and disease. The Native Americans decided to teach the Pilgrims to plant corn, to hunt and to fish. So when the next fall came, the Pilgrims had plenty of food. They were thankful and invited Native Americans to share their food with them. This was the first Thanksgiving. Thanksgiving became a national holiday many years later because of Sarah Hale. For forty years she wrote to each president of the USA and asked for a holiday of Thanksgiving. Eventually President Lincoln declared Thanksgiving a holiday in 1863. Thanksgiving today is different from the Pilgrims’ Thanksgiving in many ways but the idea of this holiday is very much the same: it is a day on which we celebrate and give thanks. The last part of a meal is called the …….. . When a ship has arrived from somewhere else, it has …….. . When you are sick, you might have a ……. . When you have more than you need, you have ……. . When you let someone use or enjoy something that you possess, you ……. it. When the government decides to celebrate a special day, it ……. a holiday. 2. Compete the sentences using the past simple tense. He’s always lying to me. I wish he would stop lying. I’m late to work and my bus hasn’t arrived yet. My sister is visiting me tonight. She’s always gossiping about her friends. I think you smoke too much. Once elected most politicians don’t keep their promises. It’s going to be hot again. She always complains about her job. Name three products that contribute to obesity. Which of these products are the most dangerous and why? Name three products that are bad for the brain. What problems do these products might cause? The sugar increasingly used in America’s manufactured foods may be especially bad for the brain. In the ever-shifting lineup of dietary villains, sugar has taken a commanding lead. Even New York City’s mayor, Michael Bloomberg, has fingered sugar as the major culprit in the obesity epidemic and proposed a ban on the sale of supersize sodas in city restaurants and fast food chains. It’s as bad as exposure to asbestos or smoke, he insists, and it’s creating outsize medical bills for the city. He doesn’t know the half of it. The brain runs on sugar, specifically the simple sugar glucose, which is what carbohydrates become in the course of digestion. But increasingly, the American diet supplies another variety of sugar: fructose. Until about 1970, fructose entered our bodies in relatively small amounts, primarily in fruits, and then in combination with fiber and antioxidants, which moderate its biological effects. Now, it is dumped wholesale into our food supply, thanks to its extraction in concentrated form from corn for use as a cheap sweetener in processed foods, from cereals to baked goods and especially soda. As scientists are discovering, the body handles fructose very differently from other sugars. And that, increasing evidence suggests, is particularly bad for the brain as well as for the rest of the body. It’s best avoided in any portion size. According to the major of New York consuming sugar is even worse than smoking. …….. The major of New York City is well-informed about the danger of consuming sugar. ……..
Fructose can be found only in fruits. ……..
People used to consume much less fructose than they do now. 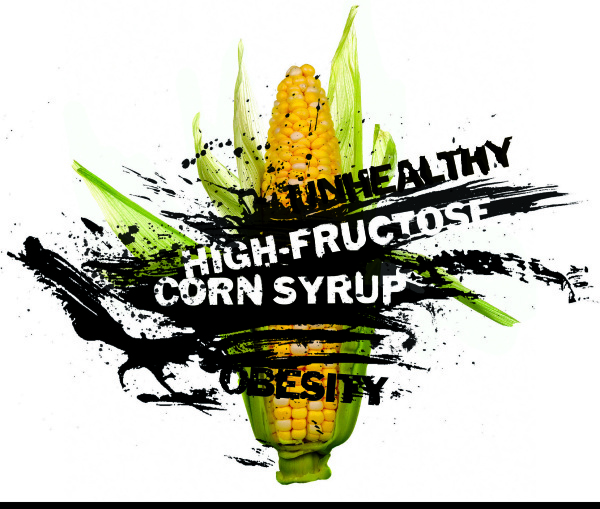 ……..
Fructose extracted in concentration form from corn is more affordable than sugar. …….. Soda has much less fructose than cereals. ……..
Fructose and sugar are observed by the human body in the same way. ……..
It’s safe to consume fructose as a sweetener. …….. When somebody isn’t listening to you, there is no … in trying to argue with them. Even when times are tough, Jean manages to keep her … up. He was making $5 an hour. He was really living from hand to … . Steve dyed his hair blue – he doesn’t give a … what people think. Tom’s teacher told him that he was … and shoulders above his classmates. She’s not my cup of … . She is such a …-noser. She’s always telling her boss how much she loves working with him. I need to ask you for your help, and I will do something nice for you in return. You scratch my … and I’ll scratch yours. Annie’s got a real sweet … . Yesterday she ate the whole bar of chocolate. During the first years of their marriage, they were head over … in love with each other.